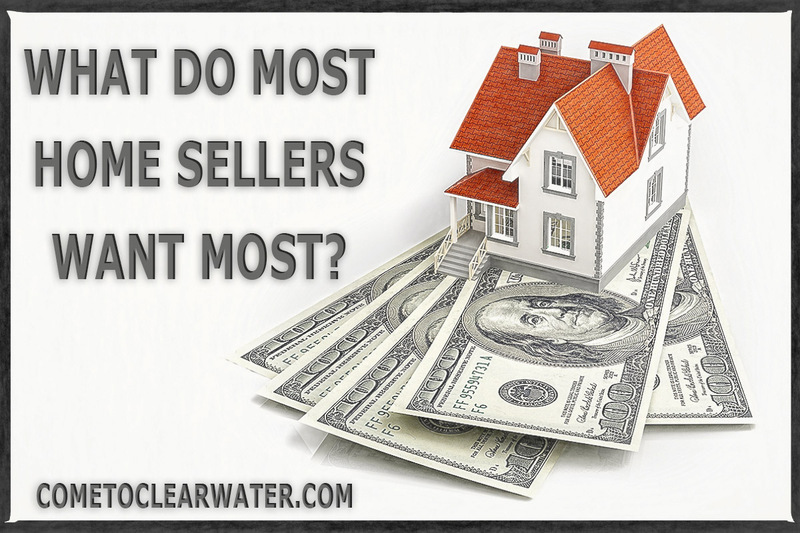 What Do Most Home Sellers Want Most? You have a home to sell, and like most sellers, you want your home to sell fast and for the most money. Seems all Realtors promise that too. 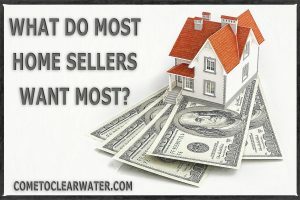 So how do you find one who actually will sell your home fast and for the most money? Selling for the highest dollar seems to be a great idea…until that high dollar deal falls through because the buyer wasn’t vetted and didn’t have access to financing. A great Realtor won’t promise the highest dollar. They will promise the best price from a qualified buyer. That high bid does you no good without an actual closing to give you the money. However, a lower bid that is within the market value of your home from a qualified buyer with a pre-approved mortgage means a check in hand and money in the bank. Selling fast is something all buyers want as well. Fast is great, but fast for a price that is under market value isn’t. A great Realtor will take the time it takes to get you the best price. Selling fast means pricing your home correctly and making sure that your home has the needed repairs and upgrades to make it the “must have” property in the neighborhood. Once those are in place the time to sale will be no time at all. Sloppy selling won’t get your home sold for the best price. Sloppy selling means that your home sits on the market. The longer it sits, the less money you will make. Choose a Realtor who will honestly tell you what your home needs, how it should be priced and which offer is the best, even if it isn’t the highest. 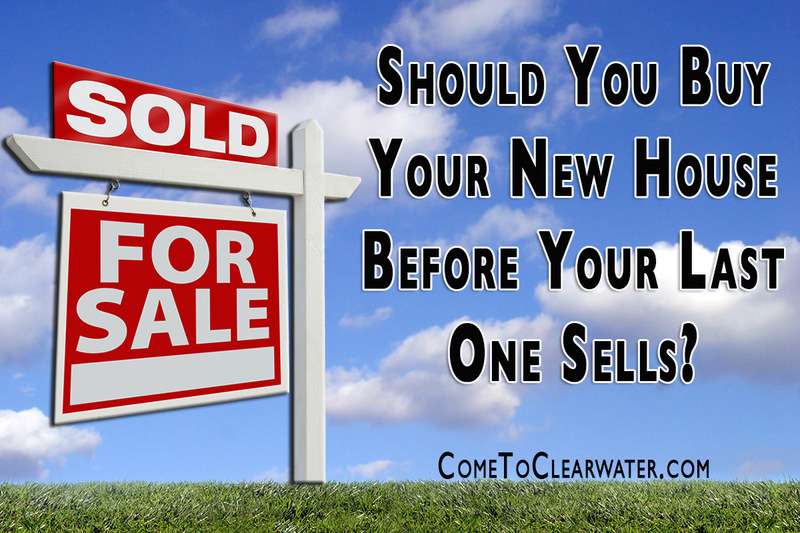 Should You Buy Your New House Before Your Last One Sells? It used to be a moot question. When the real estate market was super hot there was no question about whether you should buy your new home while still selling your current one. You’d lose the new one and the old one would sell likety-split anyway. Today it’s not such an easy question to answer, even though the market value is trending upward. 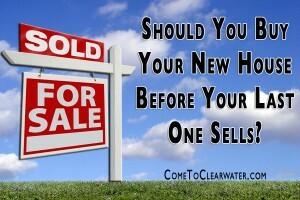 So today do you sell your old home first? Or do you buy and then sell? It’s a good question and the answer depends on a few different things. One is you, the seller/buyer and whether you fall into one of two categories: someone who has to know where you’re going before you sell or someone who has to know you can sell before you buy. First, those who are able to make an offer without the contractual out of selling their current property are favored over those who make offers contingent on selling their home. If it’s a buyer’s market, you are at a disadvantage trying to sell, but at an advantage in looking for a new home since there are more to be seen. So selling first is probably a good idea. In a seller’s market you could probably get away with listing while you look, just remember that there will be competition for the home you want to buy, so don’t offer on a new one unless you are sure yours is sold or just about sold. Your best bet if you are going to take the chance and buy and sell simultaneously, then do some homework first. Start by talking to real estate agents to get an idea of market value of your home. Then talk to your mortgage company and find out two things: first, if you qualify for a loan for a new property, second, if you can get that mortgage before your current home is sold. Then be prepared to have a time period of paying both mortgage payments. If you can’t stomach that thought, sell first, then look and buy. If you sell first, then buy, there are a few things you can do as well. First, look at the options for temporary housing while you look for your new home and close on it. Don’t rely on the assumption that the buyers of your current home will allow you to rent back from them. Then enjoy the experience of buying and having the negotiating edge! 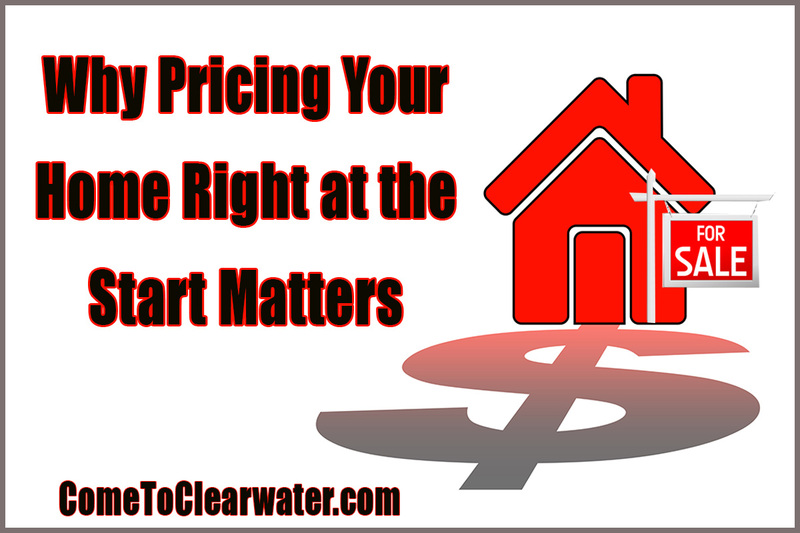 Pricing your home correctly when you first put it on the market is very important. 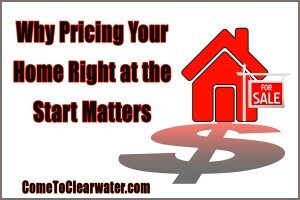 Starting out with the right price will mean the difference between selling quickly and possibly not selling at all. So why does overpricing sabotage selling your home? Let’s start with the fact that the buyers who can buy your home won’t even see it unless the price is right, and those who will see it are looking for something in that actual higher price range. When buyers look for a home they choose a price range from the highest their budget will allow to the lowest price that represents the quality of home they want. No matter if they search the internet first, or just contact a realtor to assist them, if your home is slightly overpriced, it won’t show up in that range. Second, the market for a newly listed home is the most active in the first 30 days. Even if you think that you can drop your price later, you won’t be willing to drop your price for at least 90 days, meaning you miss the hot selling period. It gets even worse. Remember, even if you have the most fantastic house on the block, the longer it sits the more people think something is wrong with it. Perception is everything. If it was so great it would have sold already, right? Maybe not, but that’s what sellers are thinking. Even an inkling that something might be wrong and they look elsewhere and won’t buy your home. There goes your chance to get market value! Guess what else will happen? That idea that overpricing it will get you at least market value is also wrong. After you drop to a more reasonable price that time on the market will mean that people will offer even lower. You’ll be so tired of trying to sell it that you’ll take less. Price it right the first time and that is much less likely to happen. It is important when selling your home to understand it’s real value. A home that you have lived in, created memories in, and added your personal touches to, may hold more value to you emotionally than a buyer would be willing to pay. If the selling price of your home is too low, you could potentially miss out on some good money. If the selling price of your home is too high, potential buyers will look over it in favor of something more affordably priced. A home that sits on the market for too long not only keeps dollars out of your pocket, but could also earn an unfavorable reputation making it harder to sell. The goal is to set a price that is fair and accurate for market value, without being too high or too low. Market Value is the price at which a house in its current condition should sell for within 30 to 90 days given the current economy. A home’s fair market value is determined by a variety of factors including the quality of the build, the condition it is currently in, the size of the house, the size of the property on which it sits, the location of the home, and the price that other similar homes in the neighborhood have recently sold for. It truly takes a trained professional to understand all of these nuances and help determine a fair asking price for a home. An accurate market value can help your home sell faster making the overall home selling process much smoother and more pleasant. So take the emotion out of pricing your home and let a professional such as Deb Ward help you figure it out. She can make selling your home a positive experience. 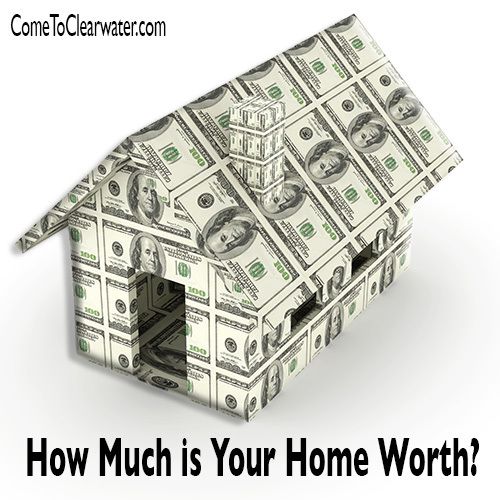 How much is your home worth? Well, that depends on how you look at it. There are three ways to do that: market value; replacement value; and property tax value. There’s a substantial difference in these values, but each affects the other. Market value: Market value is the value that homeowners are most interested in. It’s the amount homes sell for in your area. It is partially determined by what other homes that are similar to yours sold for. Market value isn’t based on what you paid to do certain kinds of improvements, such as finishing your basement, update your bathroom or kitchen, etc. These improvements add to the value, but that value isn’t determined by how much they cost. The market value will tell you what you could get if you sold your home, and how much you would actually receive, or its equity. 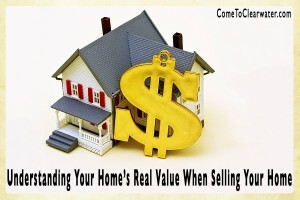 The best way to determine the market value is to have a realtor tour your home and assess its value. Replacement value: Replacement value is the amount it would cost you to rebuild if your home was destroyed by something like a fire or natural disaster. Replacement cost is what you would have to spend to remove debris and rebuild based on construction costs in your area. Replacement value is what your insurance company will come up with in order to know what to charge you for premiums. It’s also an important value to know and keep on top of, because if costs to rebuild go up, but you don’t change your coverage, you could find yourself under insured and paying out of pocket if a disaster happens. Replacement value is something to always have in mind. Property tax value: This is the value that state, county and/or municipal governments use to figure out how much you will pay in real estate taxes on your home. These values are often similar to market values, but not always. There can be differences either higher or lower due to outdated assessments or mistakes made by those assessing the property tax values. Property tax values are also based on improvements to your home. Replacement value as well as property tax value is important. Don’t just worry about market value, even if your aim is to sell.